With the explosion of road cycling across the UK and Europe and what appears to be everyone getting out on their bikes, the next big question is where to go on your bike to take cycling to the next level. Lots of people ride for many different reasons, some love the challenges of a sportive event, whilst others just use their bike as a means of getting from A to B. But, what happens when you decide to go on a road cycling holiday to somewhere like Les Gets? chalets in Les Gets, surrounded by lush green grass, wildflowers and picture postcard mountain scenes. From Les Gets you have a choice of heading down the road towards Thonon or the opposite direction towards Cluses. Either way opens up an endless list of road biking circuits, climbs and famous routes. Head towards Thonon and you have the Morzine/Avoriaz Grimpée, Col du Corbier, Col d'Encrenaz and also the challenging 186km Lac Leman tour. Towards Cluses you can climb the Col de Joux Plane, Col de Ramaz, Col du Colombiere, or the Col de Forclaz at the end of the Chamonix valley. Often you'll see the names of famous Tour de France riders painted on the roads, which helps to motivate you into climbing stronger in the tyre tracks of these cycling heroes. 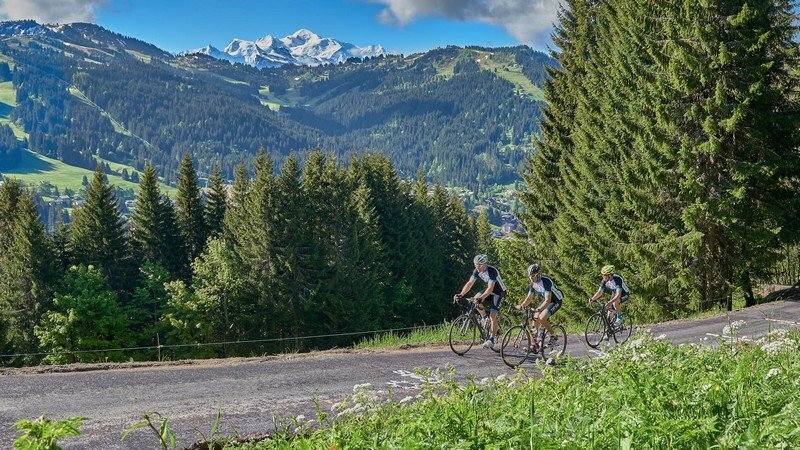 It's possible to ride various circular routes from Les Gets, taking in a number of cols (climbs) and getting back to your chalet in time for afternoon tea and cake. Tour du Mont Blanc. I would suggest around 3 days local riding to find your cycling legs ahead of one of these bigger trips. Les Gets is also famous for being on the Tour de France route and every 2 to 3 years we see the Tour passing through the village or over one, or more, of the nearby cols. July 2016 sees the finish of the penultimate Tour stage in nearby Morzine. In June 2016 Les Gets hosted the Critérium du Dauphiné 4km prologue on a newly constructed road from the village to the top of the Mont Chéry telecabine. It's a very steep and tough climb but a fantastic challenge to see if you can come close to the times of Froome and Contador! If you want to come and experience a road cycling adventure in the Alps, I can highly recommend staying in Les Gets. It's perfectly located to ride many of the famous climbs and the village has plenty of excellent bars and restaurants to keep you entertained when you're not riding. 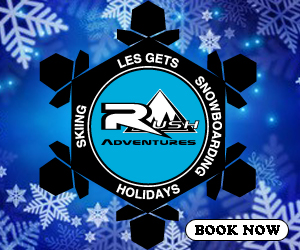 Chris Chapman is the owner of RushAdventures Bike Holidays who offer road cycling holidays in Les Gets from May to October.